Trevor is chair of Northern Sydney Local Health District and sits on the boards of Endeavour Energy and the privatised NSW Land Registry Office. 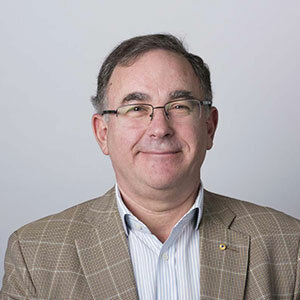 He is chair of the NSW Treasury Social Investment Expert Advisory Group and is a member of the Australia-New Zealand SKA Coordination Committee for the Square Kilometre Array telescope. He chairs the Dean of Science’s Advisory Council at UNSW where he is an Adjunct Professor. He was previously a director of the Civil Aviation Safety Authority and TransGrid and a member of the Cooperative Research Centres (CRC) Committee. He is the author of “The Pursuit of Excellence: A History of the Professor Harry Messel Internal Science School”. He was made a Member of the Order of Australia on Australia Day 2014.